My latest book is 'Fearne Fairy And The Dandelion Clocks'. This was launched on the 19th of March this year and is the 8th book in my 'Whimsy Wood' children's series. In this particular book, you'll meet Fearne Fairy for the very first time in the series. This is because the first seven books belong to set 1 and these are all about 'Posie Pixie's' adventures in Whimsy Wood. Fearne Fairy loves to sing and fly, but she has an entirely tuneless singing voice and is hopeless at landing, poor thing! I wanted Fearne to have flaws like you and I, rather than be a typical pink and sparkly fairy you see. 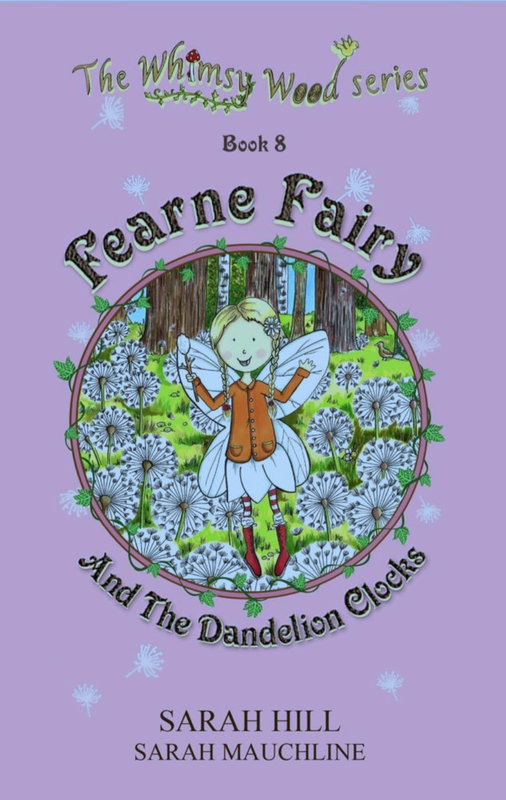 'Fearne Fairy And The Dandelion Clocks' is written for the magnificent month of March, so you'll read about white wood anemones and yellow daffodils, amongst other things. You'll also meet 'Raspberry Rabbit' and 'Bertie and Beatrice Bunny', as well as Fearne of course! In this particular story, Fearne and the delightful woodland folk go on an exciting adventure, in which sharing and teamwork play a crucial role in solving Fearne's dilemma. As for what her dilemma actually is, well, I couldn't possibly say! You'll just have to read 'Fearne Fairy And The Dandelion Clocks' to find out! Each book in my 'Whimsy Wood' children's series is written for a specific month in the calendar, so the flora and fauna change as you read through the series. Book 1, 'Posie Pixie And The Copper Kettle', is written for the month of August. This is because the petals of Posie's summer poppy house have started to fall in the story, so Posie goes on her first adventure to find a new home for the autumn. 'Posie Pixie And The Copper Kettle' explains why Posie finds herself in 'Whimsy Wood' and it sets the scene for the rest of the series. With book 1 being written for August, book 8, 'Fearne Fairy And The Dandelion Clocks', is of course a March book. So I researched what flora and fauna would be out and about in a UK woodland during the month of March. I then went back over the previous books to see which of my 'Whimsy Wood' characters have already appeared and if I needed to introduce any others during the story. Finally, there is a proverb tucked into every 'Whimsy Wood' story, so I checked which proverbs I'd used before and which ones I could use in this particular story. I then mind-mapped all this information, with the title of the story in the middle. I have a fantastic working relationship with Sarah Mauchline, who is the illustrator for my 'Whimsy Wood' children's series. For every book, we have a set format of 15 full-page illustrations and a front cover illustration. I work out what illustrations I need and then I send Sarah very specific descriptions for these illustrations. I knew we needed an image of Fearne in front of the big glade, that's filled with a carpet of dandelion clocks in Whimsy Wood. I also knew that this front cover illustration must of course be different to the other illustrations within the book. So that's how I came up the idea for this front cover. 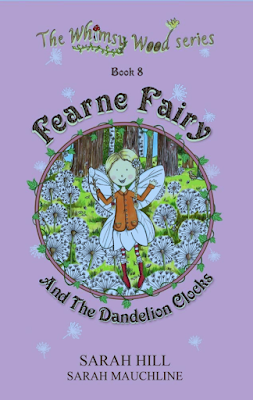 'Fearne Fairy And The Dandelion Clocks' is indeed part of the 'Whimsy Wood' series. There are 35 books in this charming children's series for 5-8 yr olds. These are divided into 5 sets of 7 books. Each book is written specifically for a month in the calendar, so the flora and fauna within the wood change as you read through the series. Finally, there is a proverb hidden within every story for the reader to find, giving it real meaning. Please note that 10% of book sales is donated to The Wildlife Trusts, UK. Book 1, 'Posie Pixie And The Copper Kettle', was published in July 2013. Book 2, 'Posie Pixie And The Lost Matchbox', was published in November 2013. Book 3, 'Posie Pixie And The Torn Tunic', was published in February 2014. Book 4, 'Posie Pixie And The Fireworks Party', was published in May 2014. Book 5, 'Posie Pixie And The Christmas Tree', was published in October 2014. Book 6, 'Posie Pixie And The Snowstorm', was published in February 2015. Book 7, 'Posie Pixie And The Pancakes', was published in June 2015. Where is series and why did you choose to set it there? My series is based in the enchanting 'Whimsy Wood'. I think, there are 2 woods in particular near to where I live, that subconsciously acted as sources of inspiration for the creation of Whimsy Wood itself. These 2 woods we've frequented a lot as a family when walking our dogs. What is it about this writing for children that appeals to you so much? I absolutely love getting lost in my own imagination and I thoroughly enjoy being invited into primary schools, to run woodland-related literacy activities and creative-writing workshops with the children. I have also been asked to carry out virtual author visits via Skype to schools overseas, which is lots of fun. Well in truth, I think it was 'Posie Pixie' tapping away in my subconscious, that set me on the road to becoming a children's author! You see, I went to Bristol University here in England to study Veterinary Medicine and I qualified as a Vet from there in 1999. I then worked in practice for 10 years and at that point our second daughter was born. My husband was travelling overseas quite a lot with work back then and so I decided to take a career break to stay at home and raise our very young girls. Within 6 months of being at home, 'Posie Pixie', the main character in my first 7 'Whimsy Wood' books, appeared in my head and she wouldn't go away. She's terribly persistent! So I really had no other choice but to start writing about her adventures in 'Whimsy Wood'. After 3 years of writing, editing, submitting to publishers, writing, re-editing and submitting some more, I finally received my author's contract with Abela Publishing in January 2013. 'Posie Pixie And The Copper Kettle', book 1 in my 'Whimsy Wood' series, was published in July 2013. Book 7, 'Posie Pixie And The Pancakes', was published in June 2015. I like alliteration, so the 'Whimsy Wood' characters' names tend to reflect this. Eg 'Posie Pixie', 'Raspberry Rabbit' and 'Wibble Woodlouse'. Posie was always called this in my head, so I had no doubt over hers. Raspberry is called Raspberry because when she gets excited or embarrassed, her cheeks flush a raspberry red colour! Wibble's name I was initially unsure of, so I asked my oldest daughter Olivia. I gave her a choice of 'Wibble' or 'Willow' for Posie's woodlouse best friend and Olivia immediately decided on 'Wibble'. So that was that! Sometimes the titles come straight away, or sometimes they don't materialise until I've finished writing the book. I don't tend to worry about it too much if the title doesn't come to me immediately. I know it'll appear when it's good and ready! Salman Rushdie's 'Haroun And The Sea Of Stories' children's book. Anyone who has struggled against the odds to achieve their dream. I don't have a special place where I write, as I find writing is quite a fluid and unpredictable activity. The need and sometimes urgency to write, can often catch you completely unawares. I find it's best to always be armed with a notebook and pen, incase an idea or thought comes to me when I'm out and about for example. During the designated times in the day when I sit down and write, then this will either be at our dining room table, or the chaise longue in the hall, or at the desk in our office. I do also write in bed from time to time. 'The Fellowship Of The Ring' from 'The Lord Of The Rings' trilogy. Terry Pratchett and Neil Gaiman. I am fortunate enough to have three happy healthy children. Olivia who's 8 years old, Poppy who's 6 years old and Monty who'll be 3 this June. Goodness me, I really doubt there would ever be a movie about me! For arguments sake, if this ever happened, I would imagine it would be after I'm dead and buried. With that in mind, the theoretical actor that would play me, is not someone we've heard of yet. I live in a small hamlet called 'Seend Cleeve' in Wiltshire, UK. It's about a thirty minute drive from Bath (which happens to be my favourite city!) and most importantly, it has 2 pubs! For a small hamlet, that's pretty brilliant! I've written up to and including book 14 in my 'Whimsy Wood' series, so I need to carry on writing the remaining stories. Also, book 9, 'Fearne Fairy And The Chocolate Caterpillar', will be released on June the 25th this year! To visit Father Christmas at the North Pole. I love 'Maleficient', as this story gives a completely different angle on the 'Sleeping Beauty' fairytale. I wanted to be a journalist and a mum. 'Fearne Fairy And The Dandelion Clocks' is the 8th book in the award-winning Whimsy Wood Series for 5-8 year olds. There are 35 books in the series and these are divided into 5 sets of 7 books. Each enchanting book is written for a specific month in the calendar, so the flora and fauna change as you read through the series. 'Fearne Fairy And The Dandelion Clocks' is written for the marvelous month of March, so you'll read about white wood anemones and yellow daffodils and you'll meet Raspberry Rabbit, Bertie and Beatrice Bunny as well as Fearne Fairy. These delightful woodland folk will take you on an exciting adventure where sharing and teamwork play a crucial role in solving Fearne's dilemma. As for what her dilemma actually is, well, I couldn't possibly say! You'll just have to read 'Fearne Fairy And The Dandelion Clocks' to find out! 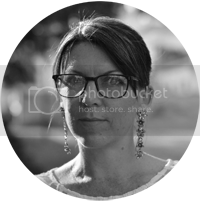 'Sarah Hill is a children's author and a small animal Vet. She gained her Veterinary Medicine degree at Bristol University in 1999 and worked in practice for 10 years. At that point she had her second daughter and soon after, she decided to take a career break. She was writing her enchanting children's series, 'Whimsy Wood', at home in Wiltshire (with her husband, their baby son, two daughters, two dogs, two cats and "a partridge in a pear tree"!) for a good 3 years, before her work was taken on by Abela Publishing, based in Sandhurst, UK. There are 35 books in the award-winning 'Whimsy Wood' children's series for 5-8 yr olds. These are divided into 5 sets of 7 books. Each book is written specifically for a month in the calendar, so the flora and fauna within the wood, change as you read through the series. Finally, there is a proverb hidden within every story for the reader to find, giving it real meaning. Please note that 10% of book sales is donated to The Wildlife Trusts, UK. Visit the home of The Whimsy Wood Series. For the latest 'Whimsy Wood' children's book, direct from the publisher, Abela Publishing, please click here.